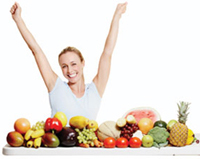 Is NutraStem Active® Right For You? 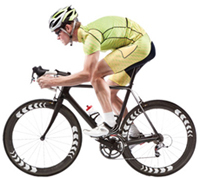 Are you a cyclist, runner, swimmer, speed walker, avid tennis or golf player, sports enthusiast? Would you like to decrease recovery time between workouts? Are you sore and stiff after working in the garden or going for a walk? Would like to enhance your strength & endurance? If you answered “yes” to any of these questions, then NutraStem Active® may be right for you. Natura Therapeutics is a University of South Florida company and we manufacture our products under GMP in Tampa Bay. Our NutraStem® products are patented, all-natural, and FDA compliant. The immune system is vital to our health because it protects the body, but have you ever thought about what repairs the body? All of us need repair because our lifestyle puts pressure on our hearts, muscles, and bone and joints especially after a long ball game, bike ride, run, or a stressful day at work. 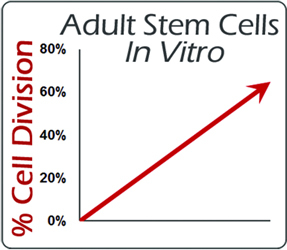 The Stem Cell System™ or adult stem cells of the body repair our tissues from stress and damage. NutraStem® Products by Natura Therapeutics are unique because they target the Stem Cell System™ of the body and help the body repair itself. How Does NutraStem Active® Work? NutraStem Active's® patented formula of all-natural botanicals and antioxidants was designed to boost your body’s own adult stem cells or your Stem Cell System™, which is the body's repair mechanism. Rhodiola rosea, an herbal extract, has been added to enhance strength and endurance, and to decrease workout recovery time. Over 100 natural ingredients were tested and we found that 4 ingredients had potent synergy and increased adult stem cells: Blueberry Extract, Green Tea Extract, L-Carnosine, and Vitamin D3 (Proprietary Formula).